Uses the meals recorded in Luke to examine Jesus' use of food, and the place of the meal in salvation history. Meals have always been important across societies and cultures - a time for friends and families to come together. An important part of relationships, meals are vital to our social health. Or as author Tim Chester puts it, Food connects. 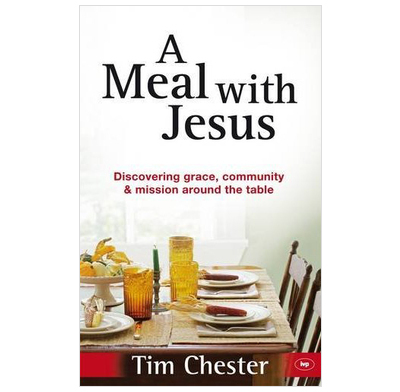 Tim argues that meals are also deeply theological - an important part of Christian fellowship and mission. He observes that Luke's Gospel is full of stories of Jesus at meals. And these meals represent something bigger. In six chapters Tim shows how they enact grace, community, hope, mission, salvation and promise. The only book that has managed both to get me excited about Scripture and get me to rearrange my living room simultaneously! A great book to get us all thinking about howJesus used his meal times and how we can use ours. And for people, like me, who aren't naturally talented at hospitality, it's a great spur to get stuck in and enjoy the opportunities that good food and good conversation can bring.